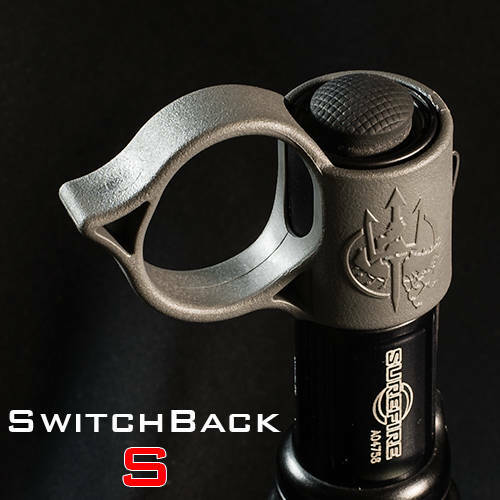 The SwitchBack® S Backup Flashlight Ring turns your Surefire® compact flashlight into a flexible tactical tool. We’ve improved on our original design to fit the latest “EDC” models while remaining compatible with most Surefire E-Series legacy Backup flashlights. See compatibility table below for details. The SwitchBack S Backup Flashlight Ring enhances your compact flashlight, optimizing ergonomics for searching and shooting. Securely mounts between the tailcap and body of the flashlight. 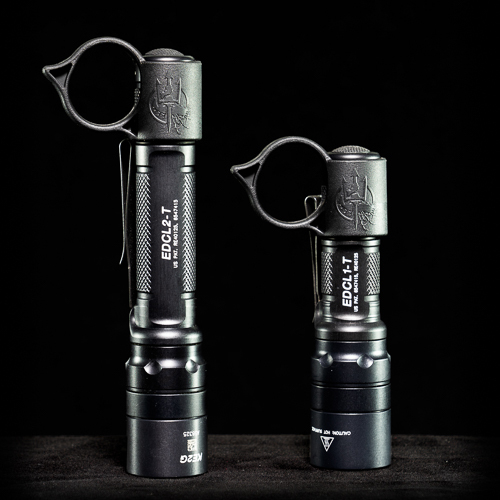 Rigid retention ring helps reliably deploy and index flashlight from both pockets and pouches. The SwitchBack S Backup comes with two o-rings. See below for compatible lights and recommended o-ring to use. Note that the E1B- Backup MaxVision comes with a shorter tail cap so that this flashlight cannot be activated with the knuckle in the SwitchBack Technique. Instead, users turn the light on with a finger, then can modify the position of the light using the SwitchBack. The SwitchBack S Backup is not compatible with lights larger than 0.830 inches (2.1082 cm) in diameter. Have a 1-inch diameter light? Check out the SwitchBack Large 2.0 or 1.0 models.